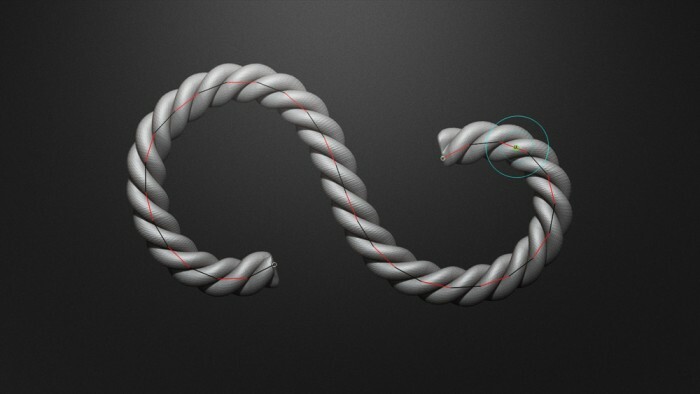 In Chapter 1, we begin with a Cylinder and transform it into a small rope segment that we use to create our custom curve brush. We explore a range of new features including weld points and curve res that are now available in the new ZBrush 4R4 package. 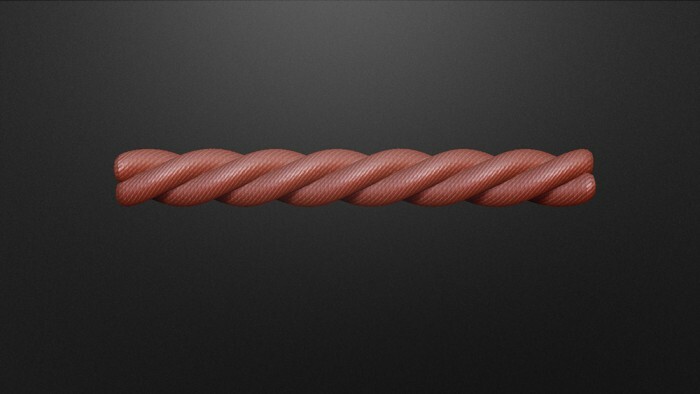 In Chapter 2, we use a Cylinder as a base mesh to create our rope. We use the Initialize dropdown to get our overall length, then the Column button (inside Masking) in conjunction with the inflate and twist function to get the overall shape. In Chapter 3, we use a Helix as a base mesh to create our knot. We use the Initialize dropdown and adjust the profile parameters to achieve our overall shape. Again we use Masking in conjunction with the inflate and twist function to get the final result. In Chapter 4, we again use the Helix but this time to create our noose. We use the Initialize dropdown and adjust the settings to achieve our overall shape and once again use Masking in conjunction with the inflate and twist function to get the final result. In this 4 chapter tutorial we cover both the old school methods used in earlier versions of Zbrush as well as the new Zbrush 4R4. 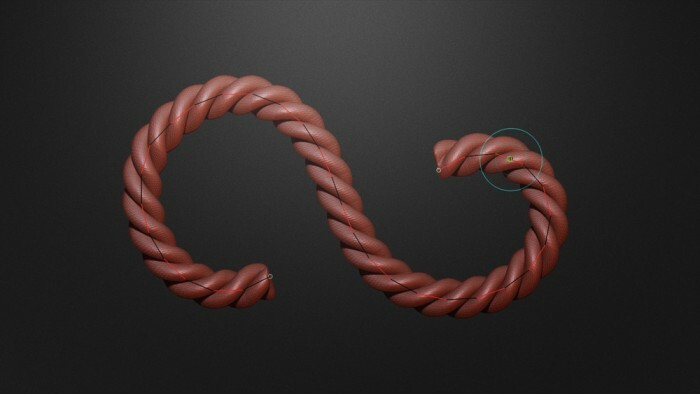 We look at a new method of creating rope through the use of a custom curve brush that is easier to use and a far more reliable method of achieving the end result. In the introduction, we look at the overall scope of this 4 chapter tutorial and briefly examine some of the topics that will be covered including the main differences between creating rope the old school way compared to utilising the new features found inside Zbrush 4R4. Thank you for the feedback… I’ve noticed a few things myself, I think it’s time I update some of the tutorials. Cheers mate! Good question, much is happening behind the scenes with the new site design including an upload portal for users. Unfortunately for the time being you will need to send me a download link via email of your content. Great effort and tutorial. You guys rock! Id like to start off by saying great tutorial! It is very interesting and there are many uses I have in mind for it. I have a problem though. When I use just the center segment it works fine. Weld and increase Curve Res. However, when I use the end segments, it is as if I do not have any Curve Res applied. Every segment is effected, not just the end caps. I have started over and followed the tutorial step by step 4 times in its entirety. I’m pretty sure I have it memorized by now. I am somewhat new to this and am hoping to use this feature in my creations. Any help would be greatly appreciated! I’m sure the fault is mine. The tutorials here seem better than any other site I’ve seen. Keep it up! Sorry for the late reply, this comment must of slipping through my fingers. Hmmm… this is strange, can you send me the brush you’ve made and also a screenshot of what you’re getting on your end. Just email me a download link via the “Contact Us” page on the website. Thank you for sharing this. 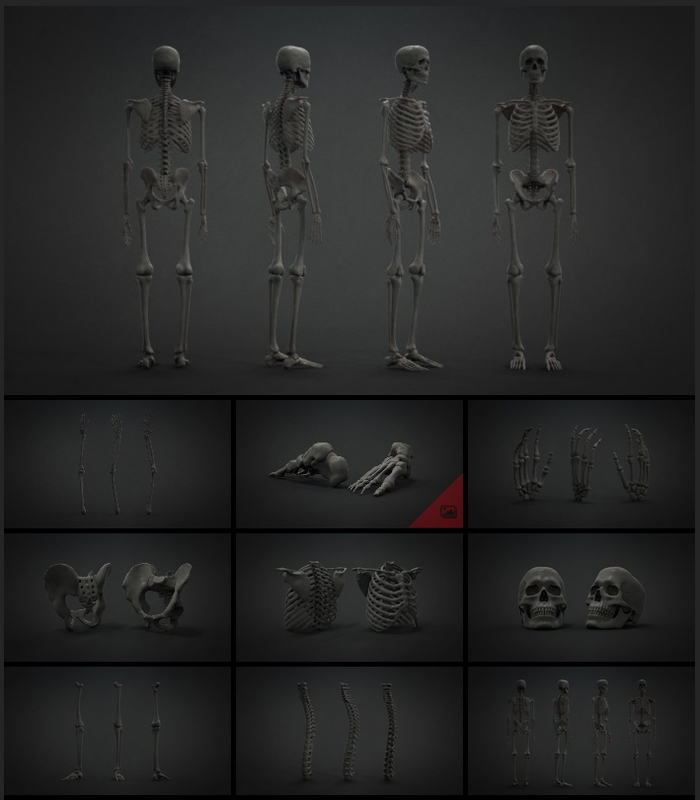 It truly passes on the community spirit of ZBrush. You have done it clearly and helpfully. appreciated. Tack. Wow, love it all! thank you for helping me expand my creative freedom. LOL thanks mate It’s always awesome to hear that the resources help! Вы гений, никогда не видел уроков по созданию процедурных инструментов в zbrush. Большое спасибо. И пожалуйста почините возможность скачивать инструменты на сайте. Прости … мы сделали обновлениями на сайте сегодня, все возвращается в нормальное русло сейчас. Great tutorial. I really learned allot and have this bookmarked. So many tutorials assume you know the basics and well some of us get rusty and need to be reminded. So thanks for being so thorough! So glad they’re helping Thanks for the support mate! Thank you so much, your tutorials are great! Hi this tutorial has been so helpful. i tried to do it with your method of rope making but couldnt do it. hey man as u said it would be hard, it was a little frustrating, but i got the desired result! and i got to learn 3 new techniques. u guys should have a tagline “only good can happen by visiting BADKING”. from the awesome creation kits to tutorials to the speedy solutions to our problems, u guys are the best! Glad it helped Thanks for the support! It’s a pleasure and a great help to watch them! Tutorials haven’t been so clear so far!!! Best tutorial and resources on the Internet, and they are free… thank you soooo much BadKing! Thanks so much and you’re absolutely welcome Heaps more to come! Fantastic, no messing about straight in with the clear and effective guidance. This is what tutorials should be like, donation made and signed up off the back of this! Thanks so much for your kind words and donation They are much appreciated! Solid, clear training. I’m learning really useful techniques. Thank-you. 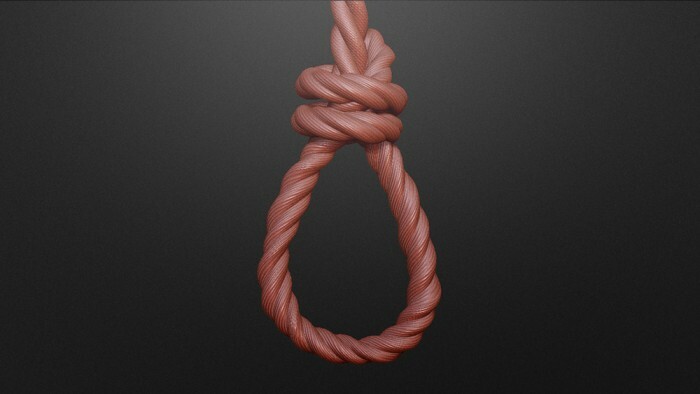 Thank you for the training tutorials, I have no idea how to make a rope in Zbrush before, now I found the easiest way, pretty cool. Thanks for this tuts mate, they are a pleasure to watch. Can you tell me whats the difference between set pivot and unify? Thanks In regards to your question, set pivot and unify are located in different dropdown menus. Just to clarify, are you referring to something in one of my tutorials? You used the set pivot in the rope tutorial two or three times. I thought that the only way to “reestablish order” was by using the unify. Wasnt aware of the set pivot. It was an -aha moment- for me. Thanks so much for the wonderfull tutorials. Regarding the rope tutorial. How would you go about creating a low poly version from the curve brush? As seen in your rope tut. Would you need to decimated or use Qremesher. Basicly you just want a tube thing (cylinder 8a10 segments) then UV master to get out the UV’s. So I can bake out my texture maps. Just wondering how you would approach this. Look forward to more tutorials. 1.) 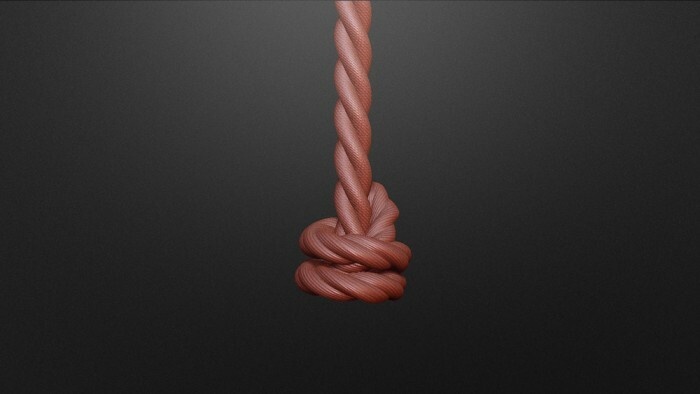 First use something like the CurveTube brush to get the shape of the rope. 2.) Then jump into UV master and create your UVs. 3.) Apply your UVs to your original rope. 4.) 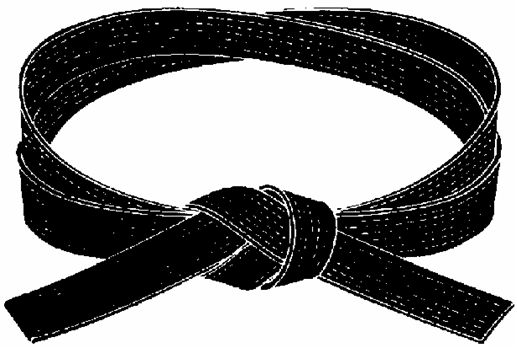 Subdivide your rope as many time as you need. 5.) Go to Surface then hit the Noise button and turn on UV inside NoiseMaker. (so it’s easier to see the noise later). 7.) Go to NoisePlug and find or make a pattern that resembles a rope. 8.) Maybe use something like ‘Stripes’ to start with, remember you can use your common controls to adjust the rotation to something like a 45 degree angle. 9.) Make sure you have clean UVs and try to line up the pattern as best as you can so it’s harder to see the UV seams. 10.) Hit OK and readjust your noise strength. 11.) Hit OK again and Apply to Mesh. I haven’t tried this myself but it could be one possible way to approach your problem. I have viewed many tutorials, but I must say your tips disclose all the hidden secrets of creating complex objects with ease. I respect your hard work and thanks a ton for share your knowledge. I will follow your website whenever I get time. I feel lucky that I have reach this wonderful website. This is one quality tutorial. The deep information and insight is easy to understand and the sound is superb. Two thumbs up for BadKing. Your tutorials are awesome! Please keep them coming. Thanks. Should be starting work on a new tutorial in the next few days so stay tuned! Copyright © 2019, BadKing.com.au Page generated in 3.66 seconds ( 100.00% PHP, 0.00% MySQL ).